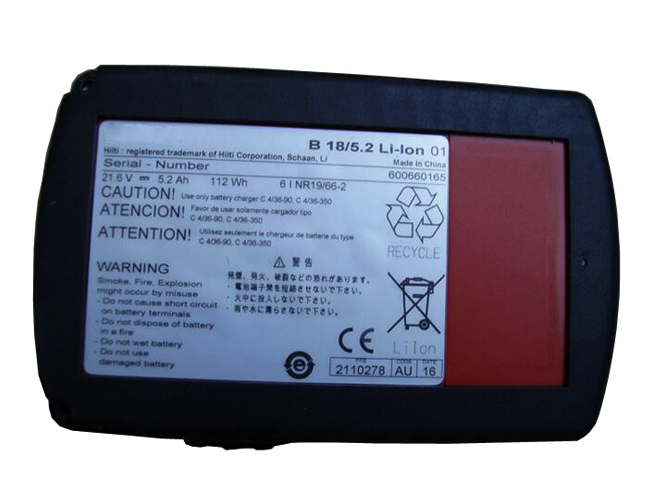 This Hilti 2116092 Battery has a capacity of 5.2 Ah/112wh and a voltage of 21.6V. Suitable for Hilti 2116092 B18/5.2. 100% compatible and 100% safe. 1-year warranty, 30-day money back guarantee.